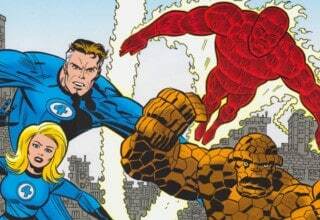 When CREED II was announced, there was a sort of dumb logic to it. It was exactly the kind of thing my friends and I jokingly “advocated” for amongst ourselves after we saw and were blown away by CREED. 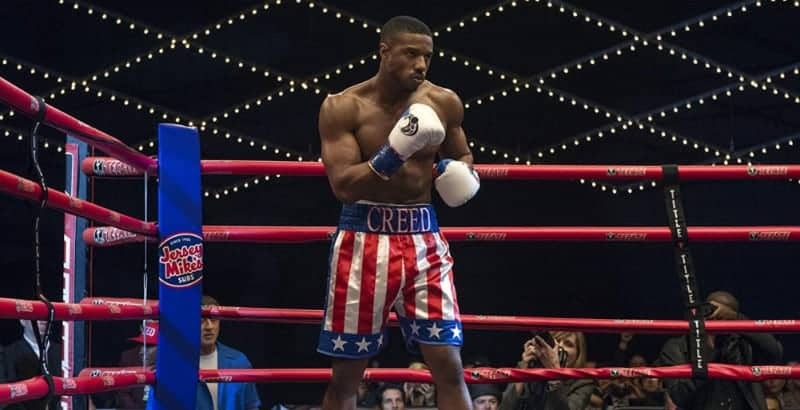 Adonis Creed, the son of Apollo and the mentee of Rocky, takes on the scion of Ivan Drago, the man that killed Adonis’s father and contributed the most to his mentor’s brain damage. (Please note: This is not a comment on Rocky Balboa’s intelligence or Sylvester Stallone’s for that matter. Rocky is shown as badly damaged at the start of ROCKY V, a condition that Rocky further references in this installment). We did not actually think it would happen, though. Because, you know, sometimes what is obvious isn’t always the best idea. But CREED II apparently overheard us and took our laughter as a dare. Did taking the challenge turn out to be a good idea? 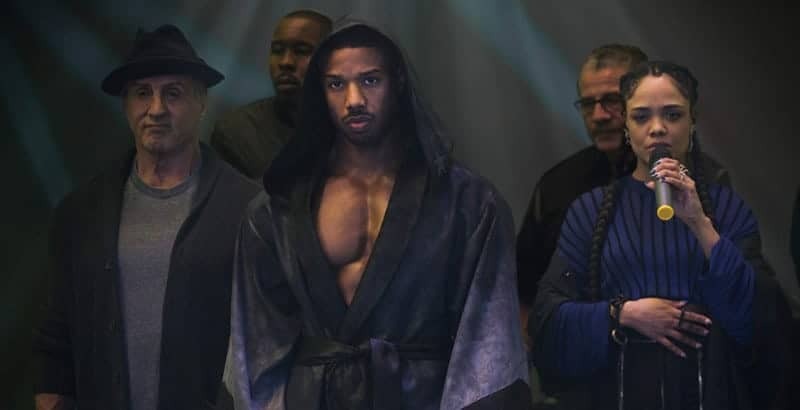 After improving his record, Adonis Creed (Michael B. Jordan) gets a second chance at the title. 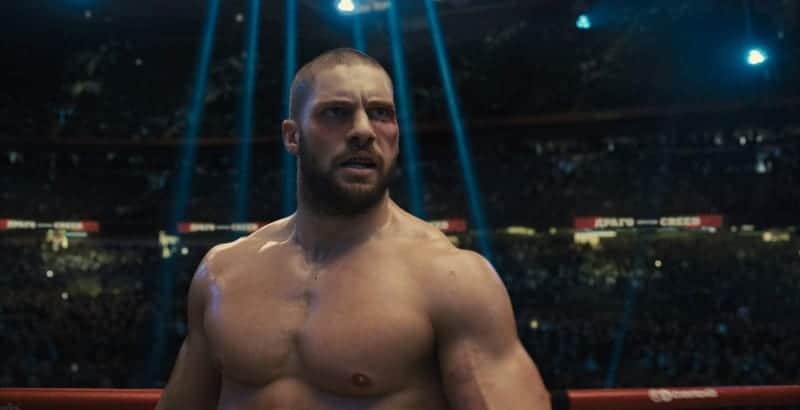 This time it comes against Danny “Stuntman” Wheeler (Andre Ward), the fighter who beat Adonis in a sparring match in CREED, thus “earning” Adonis’s prize car. Before you can say “soak it in,” a new fighter emerges as a challenger. The fighter, however, arrives not with an impressive record but with a compelling backstory. Ivan Drago (Dolph Lundgren) found himself an outcast after the events of ROCKY IV. Rocky (Sylvester Stallone) made a post-fight plea for unity and the Russian people cheered. 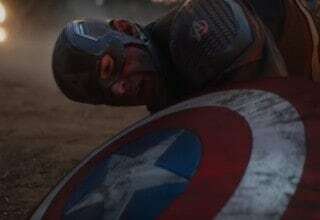 Still, they apparently could find no compassion for their felled Russian superman. Even his wife, Ludmilla (Brigitte Nielsen), abandoned him in the wake of the fight. So Ivan turned his son into a way to make amends and earn back respect. If dad could not be the boxing hero of Russia, perhaps Viktor Drago (Florian “Big Nasty” Munteanu) could. Despite everyone warning him off it and Rocky refusing to train him, Adonis cannot refuse the fight. While he manages to hold on to the title, Adonis finds, like his father (Carl Weathers in old footage), that the Dragos are a brutal and dangerous lot. 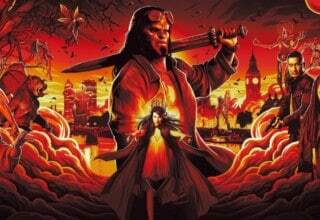 As Adonis tries to scale his way back to health, he must also contend with his new marriage to Bianca (Tessa Thompson), their soon-to-be-born child, his fractured relationship with Rocky, and the ongoing stream of trash talk and media coverage concerning a rematch with Viktor. 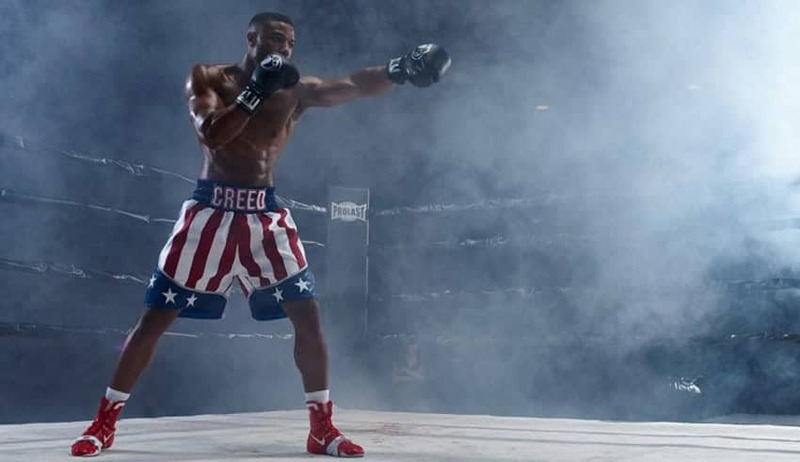 With two Story By credits — Cheo Hodari Coker and Sascha Penn — and two screenwriters — Stallone and first-time feature writer Juel Taylor — this is certainly a script with a lot more hands involved than CREED. However, the writing does not tend to feel that way. 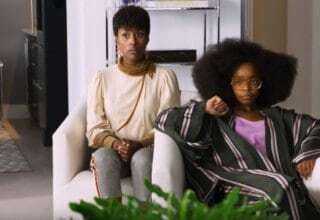 The characters from CREED — Adonis, Bianca, and Mary Anne Creed (Phylicia Rashad) — sound and feel like themselves. Rocky’s sort of beaten down, sliding towards the grave philosophizing returns as well, if sounding a bit more cliched. Actually, Rocky’s dialogue is probably the easiest way to explain how the script feels: accurate to the characters but just not as sharp as CREED. The only exceptions are the Dragos. 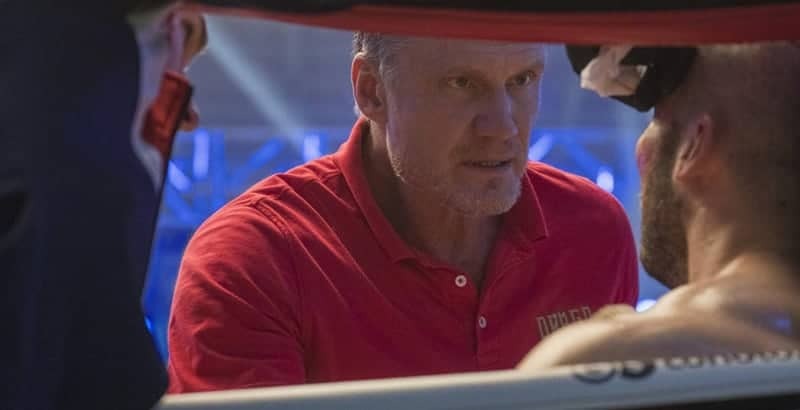 Ivan feels more real than he ever did in ROCKY IV, the screenwriters making good use of Lundgren’s real-life intelligence to give the character a bit more oomph than the near cyborg Ivan presented as the first time around. Viktor is mostly silent throughout, more of a tool of his dad’s legacy than a person. 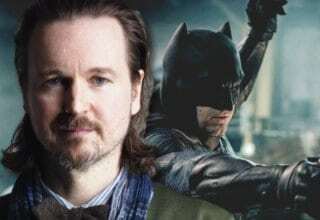 However, he blows his top well at having to sit with the same people that cast his father out for losing in the ’80s. The lines capture the hurt and resentment of a child molded to exorcize his parent’s demons despite a lack of complexity. Michael B. Jordan continues to just be excellent all over the place. He deepens Adonis here, finding new beats to explore and building on previously established aspects of the character’s personality. His, “I have to do this for the dad I never met but actually, really, for me,” could have felt stale or, worse, like entitlement. Jordan manages to invest his reactions with a mix of confusion and ambivalence. When he cannot explain why he wants to fight, it does not feel like he’s just unwilling to say it. It is really like he cannot unravel the answer for himself. 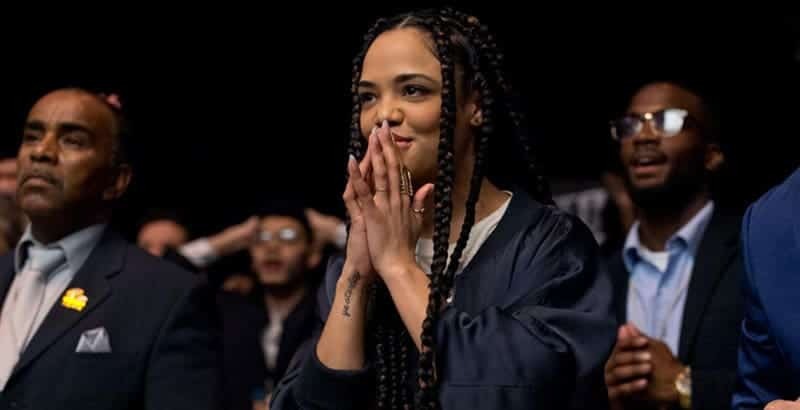 Tessa Thompson similarly continues to broaden and deepen Bianca. How she joins in the thrill of competition and how it crumbles as Adonis absorbs more abuse is impressive. It is a hard thing to make both feel real and fresh match after match but she finds a way. Moreover, she does a wonderful amount of acting with looks and expressions. This is especially so in a near silent scene where the couple’s newborn child receives a hearing evaluation. 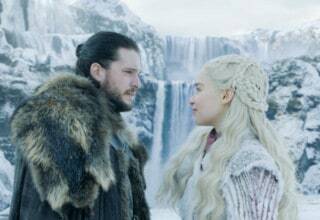 Their chemistry remains strong as well. The way the two handle Adonis’s attempt at an engagement proposal is a great mix of silly and sweet that makes their connection feel lived in and real. Stallone continues to recreate Rocky as a broken-down soft heart and it is surprising how effective it is. Between ROCKY BALBOA, CREED, and this film, he’s authored a third act for his Philadelphia boxer that is certainly more affecting than the second act (think ROCKY III, IV, V) and, for my money, is on par with Rocky’s first act (ROCKY and ROCKY II). 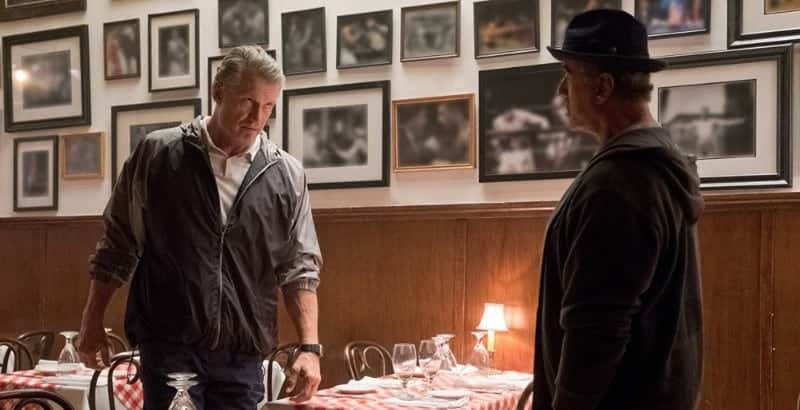 To have taken this literal white hope figure of the ’70s and ’80s and recreate him as a senior citizen well aware of how past his good times he is and how isolated and alone that has left him is easily the most impressive performance of Stallone’s career. To do so while ceding the spotlight to Jordan demonstrates how much he has grown from the self-described “male narcissism” of his heyday. However, the real surprise here is Lundgren. I cannot think of a previous Lundgren performance I’d ever label thoughtful or nuanced, but this one is. From his confrontation with Stallone where he feels smaller despite being much taller than his scene partner and the one who has initiated contact, to his attempts to motivate his son with the same kind of degradation he himself endured, through his final choice as a corner man, Lundgren feels like an actor in a way he never has before. This Ivan does not feel like the ’80s Drago, but he sells how the weight of history and exile could have made that golden warrior into the man who visibly flinches at a Rocky Balboa quip. As noted above, Munteanu’s Viktor mostly lives as an extension of his father. As a result, he rarely speaks. 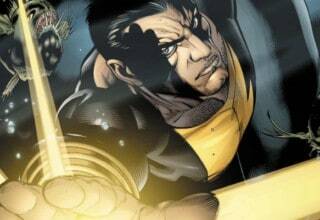 He mostly follows directions, endures insults, and physically dominates opponents in the ring. However, he delivers his few lines in a way that shows how used and disappointed he feels. He is loyal to his father and wants to bring the title “home” as a result, but he hates that his father cares about all these people — including Viktor’s mom/Ivan’s ex-wife — who abandoned them the first time Ivan ever lost. Rashad does have new beats to play as Mary Anne, but she is still a welcome presence on-screen. Warm or steely, depending on what is needed, she is a great foil for her headstrong adopted son Adonis. My only disappointment is that the brief scene between her and Stallone did not deliver on the dramatic fireworks CREED hinted could be in store. 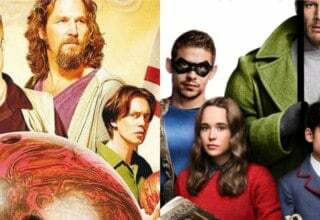 Perhaps the most noticeable difference between CREED and CREED II comes here. In just his second feature and his first for a big studio, Steven Caple Jr. is not yet as studied or creative a director as Ryan Coogler. Caple tries some different approaches that sometimes work and sometimes do not. For instance, the use of first-person camerawork during the initial Adonis v. Viktor throwdown is an interesting choice. Unfortunately, it does not feel as visceral as the Coogler-directed fight scenes of CREED or, truth be told, Caple’s direction in the second Adonis/Viktor bout. When we step away from the ring, though, Caple’s creativity proves stronger. I like the way he consistently lodges Rocky in the back corners of frames, emphasizing the former champ’s small size and diminished importance in both the world of the film and the story we are watching. Caple also likes to linger on faces to catch not just the initial reactions but how they settle and pass, a technique that works especially well for Thompson and Munteanu, albeit for very different reasons. Overall, he does not fill Coogler’s impressively large shoes but I do think Caple proves a strong director in his own right. 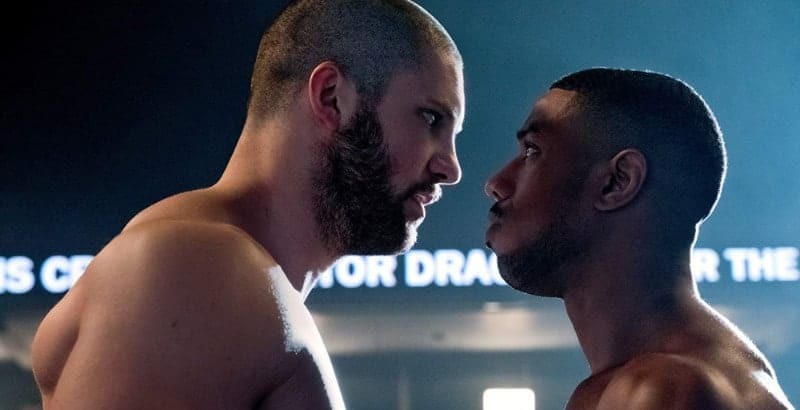 Yes, CREED is undeniably better, but there are a lot of great things about CREED II. It’s a meditation on fathers and children — the fathers that never showed up, the fathers who were too lost in their own success to truly be present, the fathers too deep in their own shame to provide comfort. 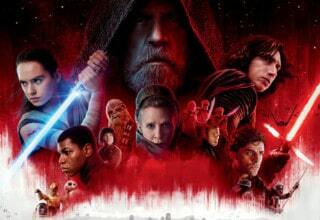 It is not exactly new but still well done. Same to the pondering of the cycles of life and how they seem to ensnare those around us. To paraphrase a friend, if only all movies that seemed born of fan service could be this good.